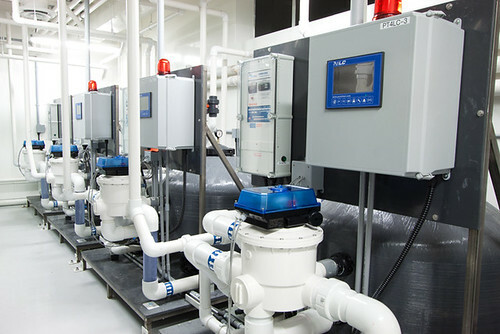 Integrated Aqua Systems, Inc. is an industry leader in designing, building and supplying water filtration equipment and complete systems. 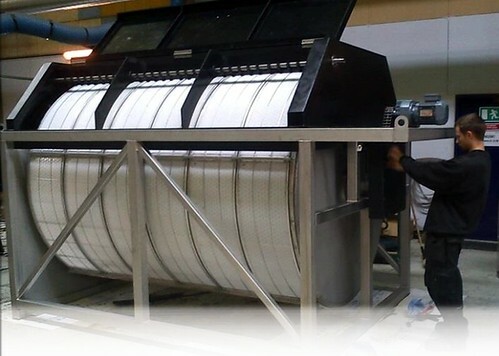 Since 2003, we have made significant advancements in packaged filtration products. 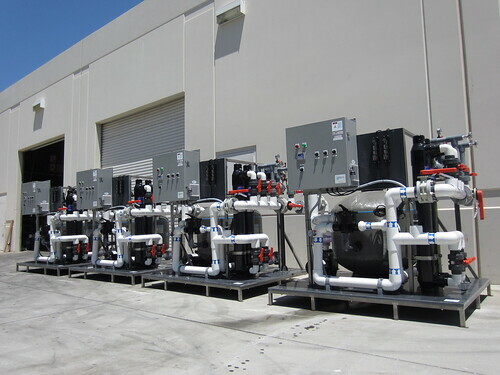 IAS manufactures INTEGRATED™ Filtration Systems which are skid mounted filtration packages used for removal of particulate solids and disinfection of water. 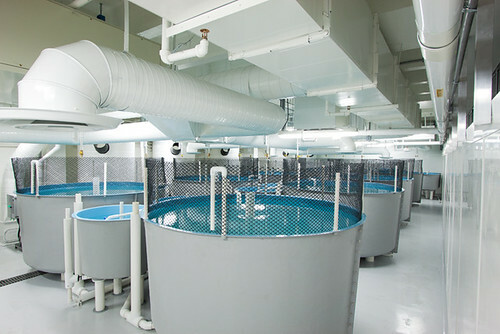 We work with clients during the design stage to provide a filtration system that is designed to meet your specific water quality objectives, budget demands and operational requirements. 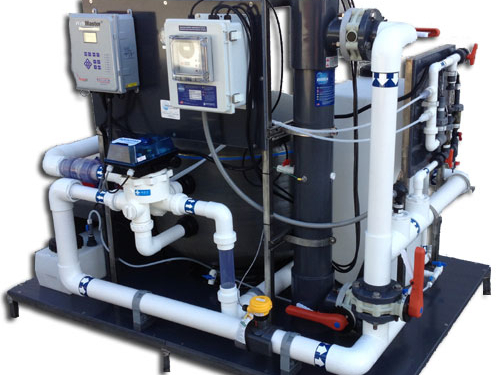 INTEGRATED™ systems are water tested, pre-programmed and electrically tested prior to shipping. Please call for a free estimate. 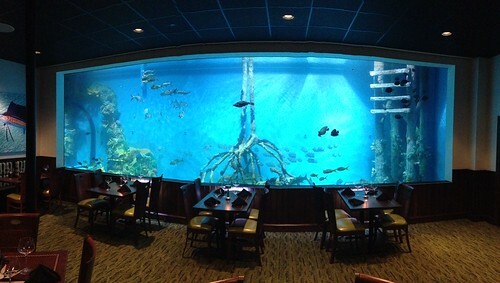 Please contact Integrated Aqua Systems for sizing, design and pricing. 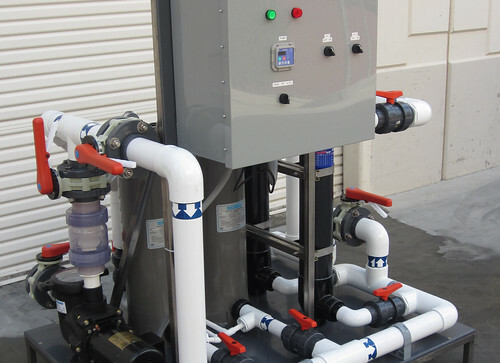 INTEGRATED™ Filtration Systems – Skid mounted mechanical filtration & disinfection systems pre-assembled with pump, filter, UV and accessories. 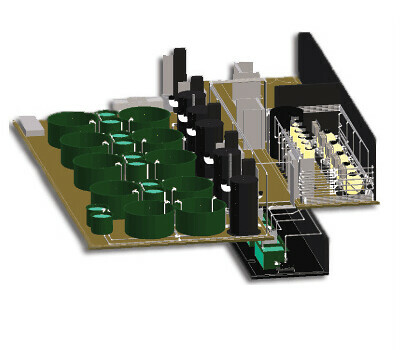 Microscreen Drum Filters – high capacity rotating screen filters for aquaculture and wastewater. Media Filters & Accessories – sand and Perma-Bead™ filters, multiport valves and accessories. PermaBead Filtration Media – non-clogging, non-channeling bead media replacement for sand. Bag & Cartridge Filters – element filters, carbon canister filters, inline strainers and accessories. Radial Flow Settlers – passive solids settling devices for aquaculture and aquaponics. 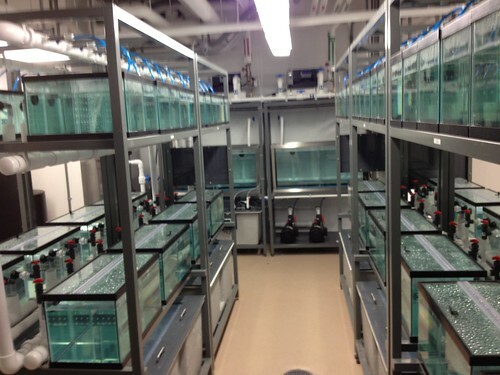 Protein Fractionators – fine suspended and dissolved solids filtration using aeration. 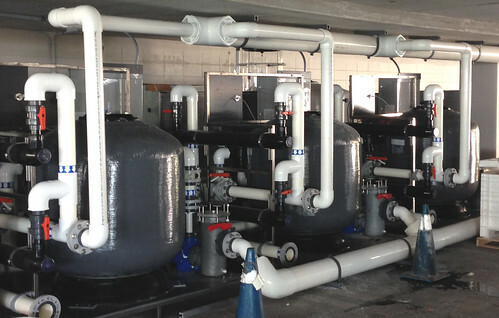 Reverse Osmosis (RO) – ultrafiltration devices for lab quality and potable quality water filtration. 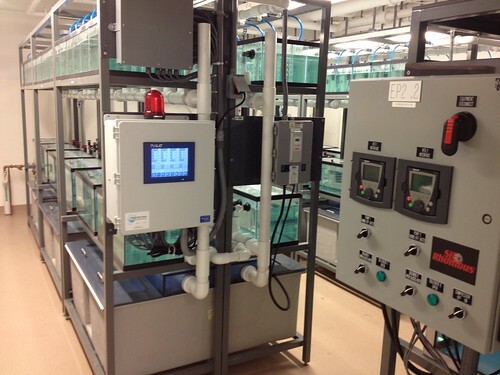 Makeup Water Systems – pre-engineered automated on-demand saltwater mixing and makeup water supply systems for life support systems (LSS) and aquatic lab facilities.